Mike joined the financial services industry in 1988 as an insurance agent. After several transfers and promotions, Mike was relocated to Alaska in 1999 to manage the state of Alaska for a national carrier. Mike stayed with the same company for a quarter century, until he left to form Coho Financial Group, LLC in February of 2017. Mikes vision with Coho Financial Group is different than most companies. 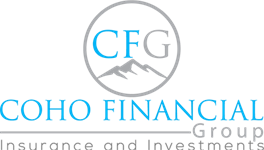 Coho focuses on financial security, which includes insurance (for the “IFs” in life) AND investments (for the “WHENs” in life). Mike holds property, casualty, life and health insurance licenses, as well as his series 6, 63, 26 and 65 securities licenses. He has earned his LUTC-F (Life underwriter training council-fellow), FSS (Financial Services Specialist), and CLF (Certified Leadership Fellow) from the American College. Mike is also a John Maxwell Certified Leadership Mentor, Coach, Speaker and Trainer. 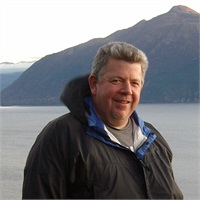 Mike enjoys most all of the outdoor activities Alaska has to offer, and is active with several non-profits and his church.